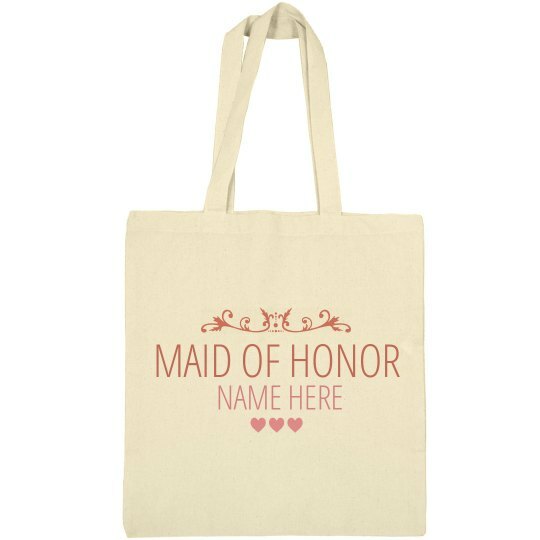 Customize a cute bag for your maid of honor and for all the girls in the wedding party. Match it back to a cute tee. 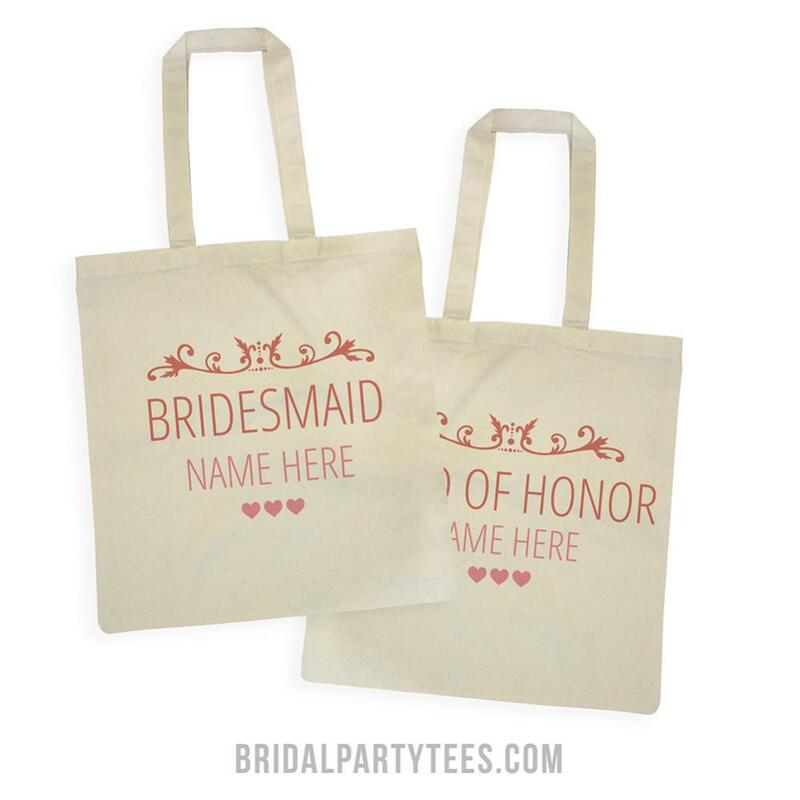 Get custom tote bags for all the girls in the bridal party. Give them out at the bachelorette party!